I had the pleasure of visiting Scotland last week with GameBook’s Co-founder Mikko Manerus and VP Sales & Marketing Kimmo Ekroth. On the agenda was business and golf… and I got to tell you, there was plenty of both involved in those couple of days. 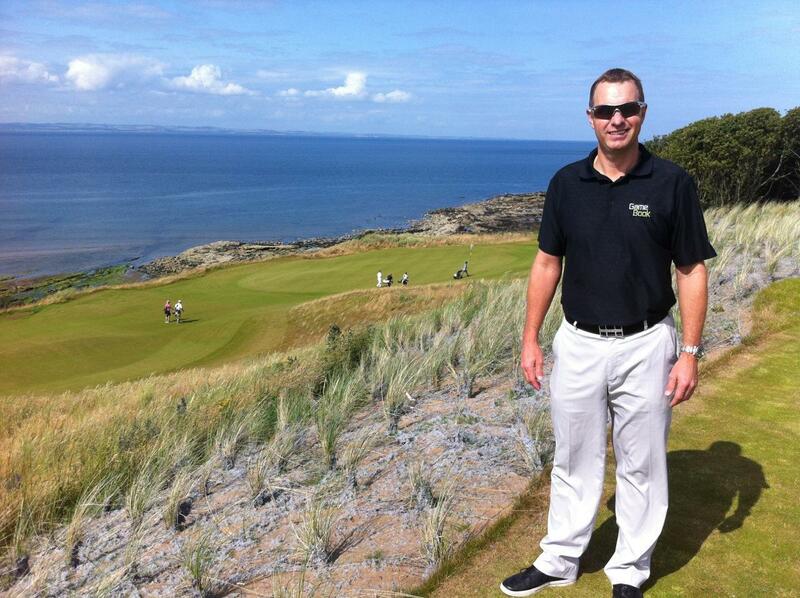 As always, it was an inspiring experience visiting Scotland – The Home of Golf. 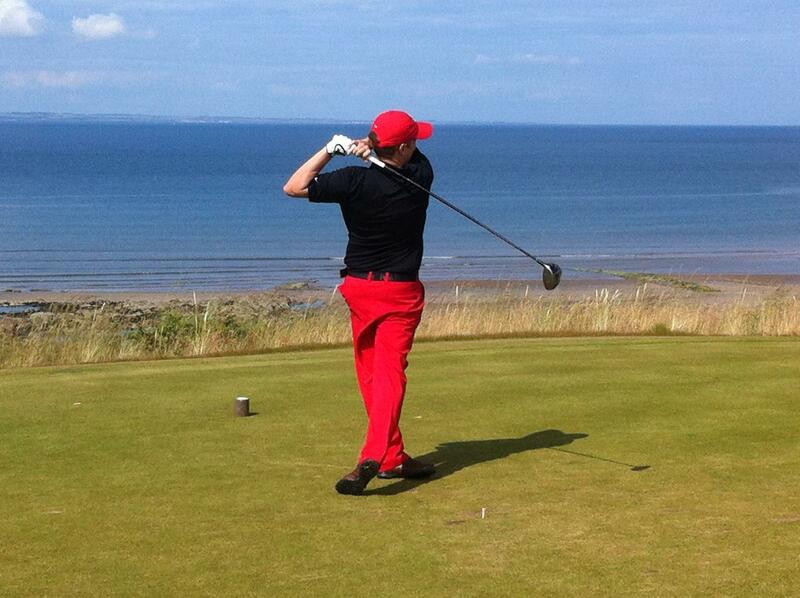 As you know, there was also some other golf business going on in Scotland last weekend. 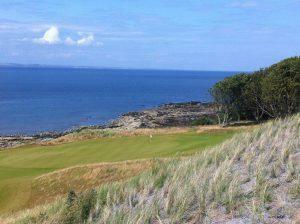 The Open was played at Muirfield Golf Club. Even though we spent time right next door, unfortunately the busy schedule didn’t allow me to visit The Open. Congratulations to Phil Mickelson – well deserved champion golfer of the year! We are currently launching our unique Golf 24/7 Challenge in the UK with great partners Your Golf Travel, Callaway Golf Europe and National Club Golfer Magazine. The campaign has kicked off rather nicely and was partially the reason behind this trip as well. The Golf GameBook has been one of the most downloaded golf apps on the UK App Store for several weeks now! 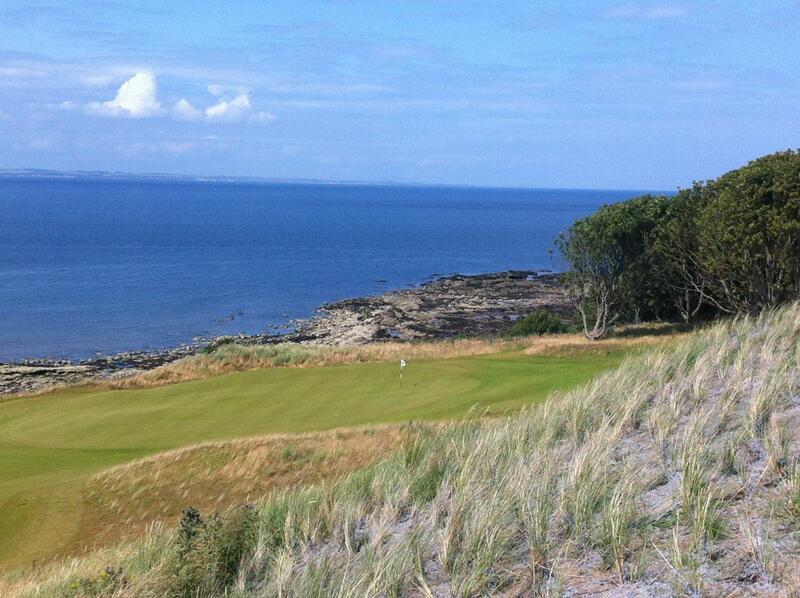 Some amazing views from Scotland – The Renaissance Club. We had the honour of organizing live scoring for National Club Golfer’s Sports Publications Championship Invitational, which was played at the majestic Renaissance Club – right next door to Muirfield. It was great to watch stars like Angel Cabrera, Adam Scott, Mat Kuchar and Vijay Singh getting ready for The Open while practicing and playing at The Renaissance. While we were in Scotland, we also organized our own invitational event for a few selected members of the golf media. 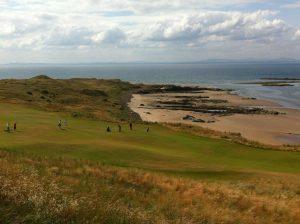 Our event was played at Archerfield Golf Club, also right next door to Muirfield. 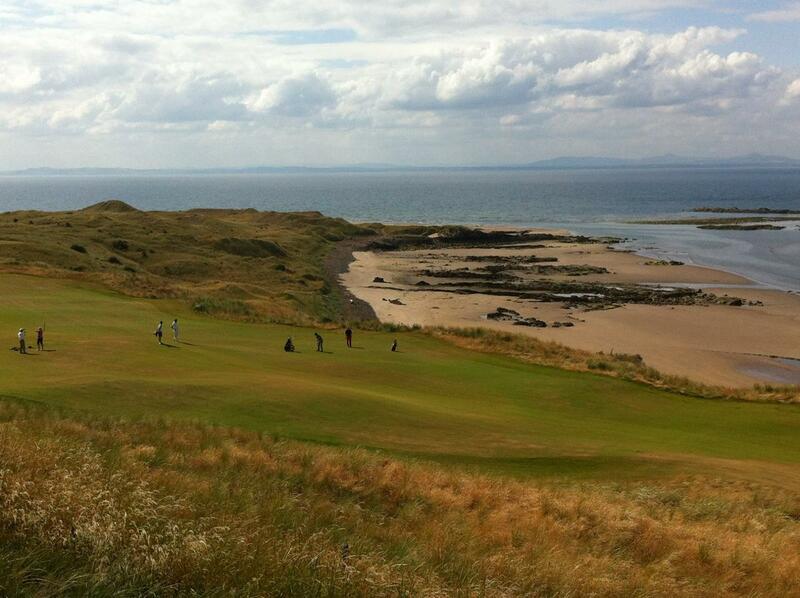 This time the GameBook Team got to host each group and play some links golf. It was good to play in such a nice environment. All in all, we had a superb day and made some great new connections. 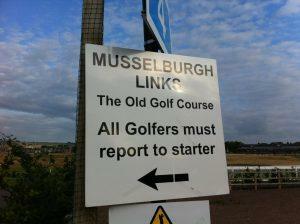 One evening while driving back to our B&B, we passed Musselburgh Links – the oldest golf course in the world. Couldn’t resist the temptation and went and played the 9-hole course located within a racetrack. I was fortunate enough to leave with one of the most memorable golf shots of my career, especially as it was made on the oldest course, when I holed out a wedge from128 yds on the 4th hole for an eagle 2! 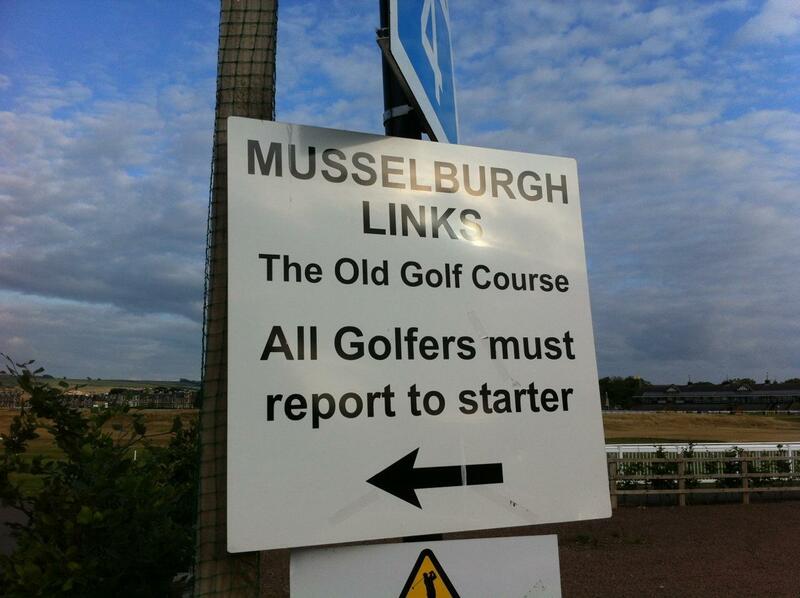 Musselburgh Links – the oldest golf course in the world. GameBook’s Mikko Manerus (left) and Kimmo Ekroth playing at The Renaissance Club. Kimmo showing us how it’s done! 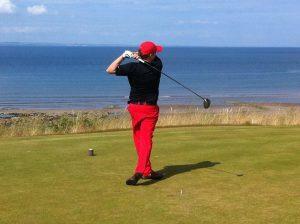 I was one happy golfer in the sunny weather. After an eventful trip and a brief visit back home to Finland, I was back on the road again. I spent the beginning of this week in London playing as IMG’s guest with Mikko Manerus in the Gary Player Invitational that was held on Monday at the Wentworth Club, Edinburgh Course. It was one of the greatest charity events I’ve ever been to. Beautifully organized even to the smallest detail. And Gary himself is such an amazing and energetic guy. He is turning 78 in November and still going strong on the golf course. You can find more information about the event from their website. 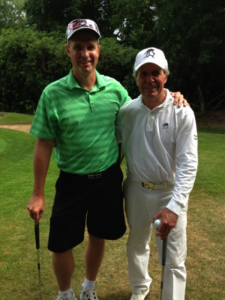 Gary and I at The Wentworth Club. I am now in Toronto for the RBC Canadian Open. We just got done with our Golf 24/7 pre-launch campaign together with Golf Canada. As a result of this, GameBook has been for 2 weeks the most downloaded sports app on the Canadian App Store. I am at Glen Abbey this weekend for meetings and following the tournament, and on Mon-Tue on the golf course for some GameBook related business. 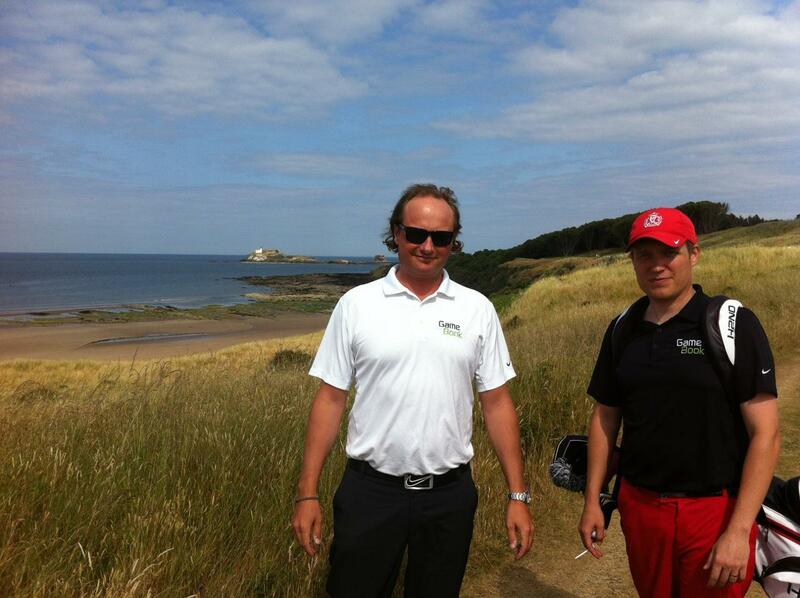 If you too have a chance to play and are in the UK, make sure to record your score with GameBook. That way you’ll participate in our Golf 24/7 Challenge and have a chance to win some great prizes. Or how does a dream getaway to La Manga, Spain sound like? The official launch of Golf 24/7 Challenge in Canada is scheduled to start on August 5th. Stay tuned!